Stefan Salvatore (1). 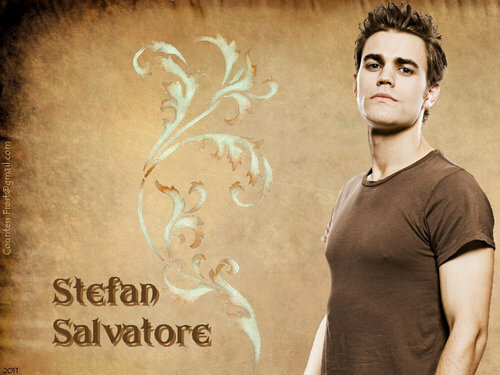 'Stefan Salvatore (1)' - a wallpaper with Stefan (Paul Wesley) created oleh TheCountess. HD Wallpaper and background images in the the vampire diaries tv show club tagged: the vampire diaries tvd tv show stefan salvatore paul wesley paul thomas wasilewski fan art wallpaper thecountess. This the vampire diaries tv show wallpaper contains tanda, poster, teks, and papan tulis. Even though I've got a really primitive art program, I've love to create wallpapers, and getting rated is a special bonus. This was my first attempt at any for The Vampire Diaries.